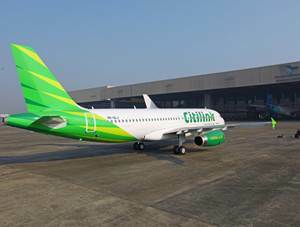 In term of financial performance, PT Citilink Indonesia has recorded a good performance in 2015. According to PT Garuda Indonesia (Persero) Tbk Annual Report 2015 as cited by JobsCDC.com, total revenue of Citilink in 2015 recorded as US$470.03 million. This total revenue figures reflected an 16.48% increase from US$403.54 million in 2014. Economics, Management, Accounting, Business Administration, Industrial Engineering, Aeronautical Engineering, Mechanical Engineering. Maximum age of 25 years old per January 2017 (S1). Maximum age of 26 years old per January 2017 (S2). JobsCDC.com now available on android device. Download now on Google Play here. Please be aware of recruitment fraud. The entire stage of this selection process is free of charge. PT Citilink Indonesia - Fresh Graduate Management Trainee Citilink January 2017 will never ask for fees or upfront payments for any purposes during the recruitment process such as transportation and accommodation.